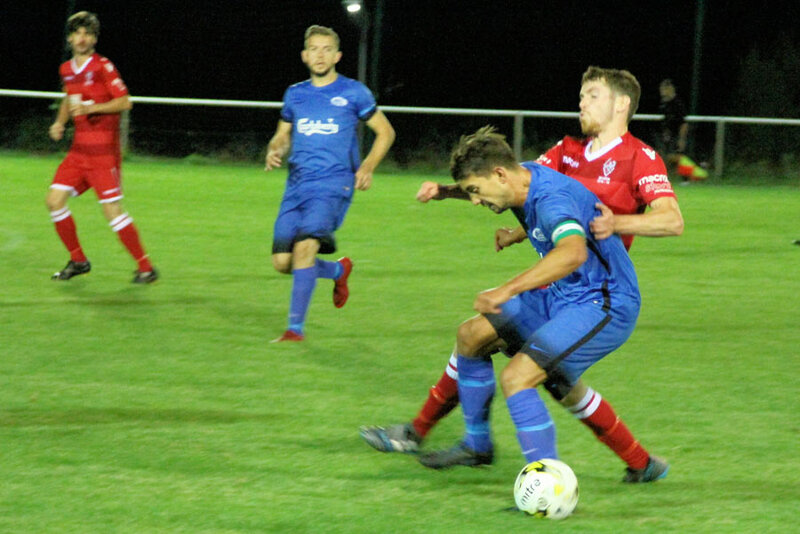 Jets bowed out of the Leagues Challenge trophy, at home to Baldock Town and deservedly so as they found the “league leaders” tag comes at a price. One that means they cannot drop their guard or standards as others will be pushing hard to beat them. 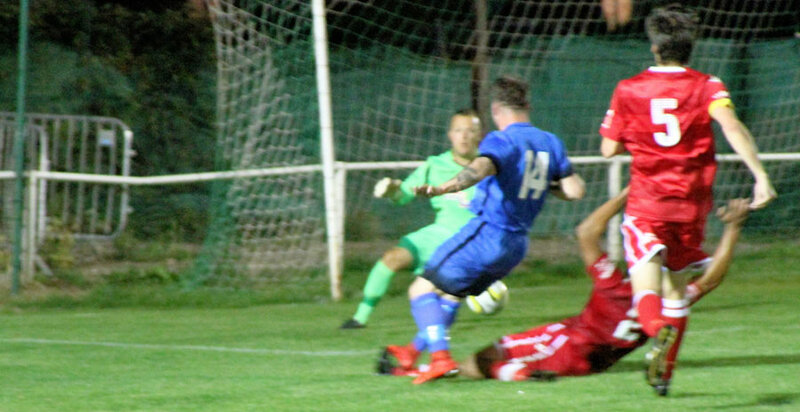 Tonight Baldock Town were the better side, they had far more possession, their two goals were stunning shots, and they deserved their win and progression in the competition. Jamie Speer was moved into a midfield role. 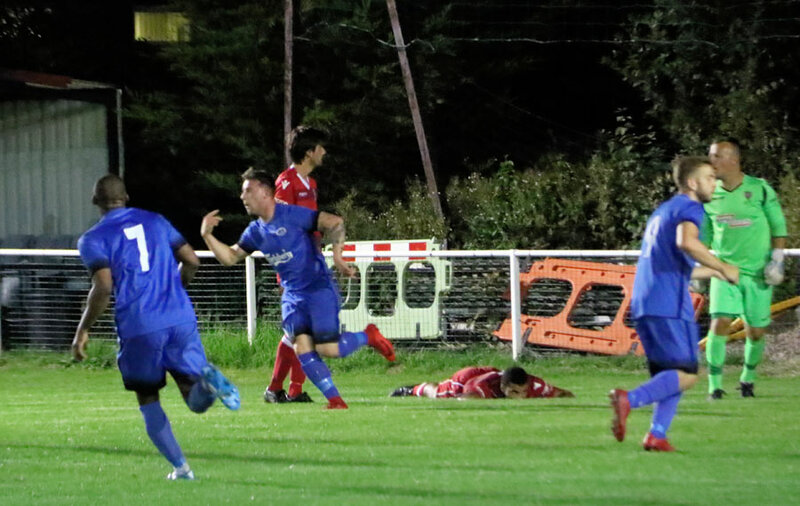 Jets again made changes as the games come thick and fast, but that’s no excuse as the visitors had a tough FA cup tie on Sunday at Romford so had little recovery time themselves. Skipper Tom Gibson returns from his holidays. Jets in the first half were under pressure most of the half failing to get midfield control, and the wide service wasn’t delivering. The visitors took the defensive upper hand, and the Jets attack became isolated if not cut off. With, however, a dogged defensive display by Jets, Town never really got a good effort on target either, so at halftime, it was a very dull 0-0. It was a better game in the second half both sides going for the match a little more. 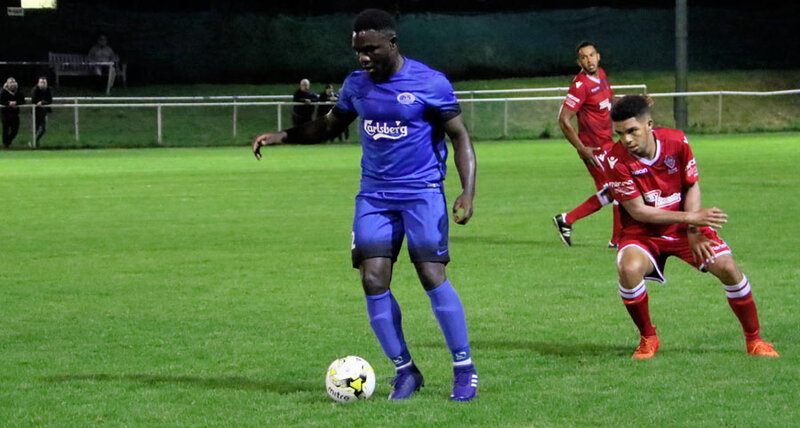 Jets had to make a midfield change injecting Deji to try to cut out the strong aerial dominance. Unfortunately, a hesitation by Deji, coupled with a blistering 30 yard shot by Lewis Barker gave the Jets keeper no chance, 0-1 the visitors. Jets upped the game in response to this, and it was a better match, while always feeling the visitors had the upper hand. One player making it happen for Jets was wide man George Turner who was more direct than in the first 45 and causing Town problems. At last Kerley was getting a supply chain to work off. Ryan O’Sullivan grabs the equaliser. Jets pulled off an excellent equaliser when sub Ryan O’Sullivan again made an immediate impact from the bench with a burst and calm solo goal and slot 1-1 with about ten to play. Ryan loves scoring a goal from the bench. 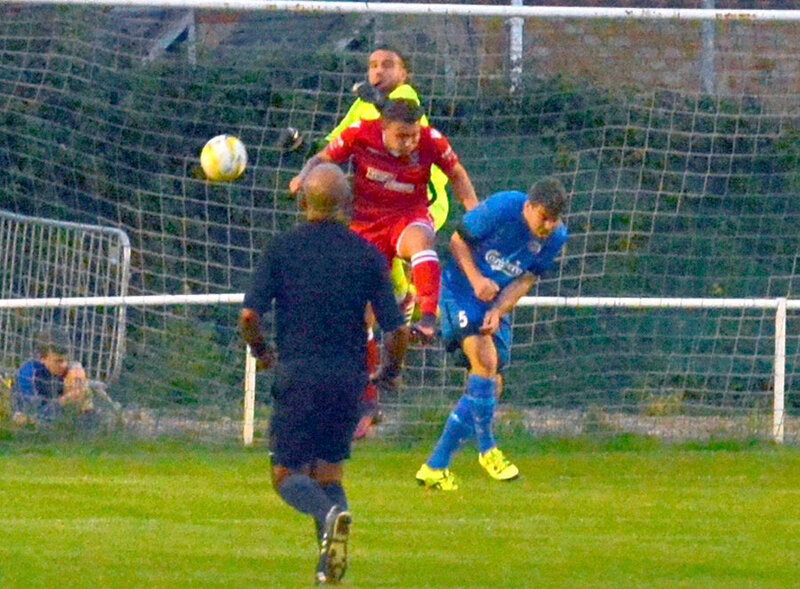 With the minutes ticking down Jets had a series of corners, and the chance of the match to win it, when the perfect layback played into the centre gave an opportunity for Ollie Salami, but the ball was blasted high over the bar and out of the ground. For Jets, the final punishing sting was a minute or so away. Town pushed back up and another stunning long-range shot that said goal as it left his foot beat the keeper with no chance and Jets were as good as out. 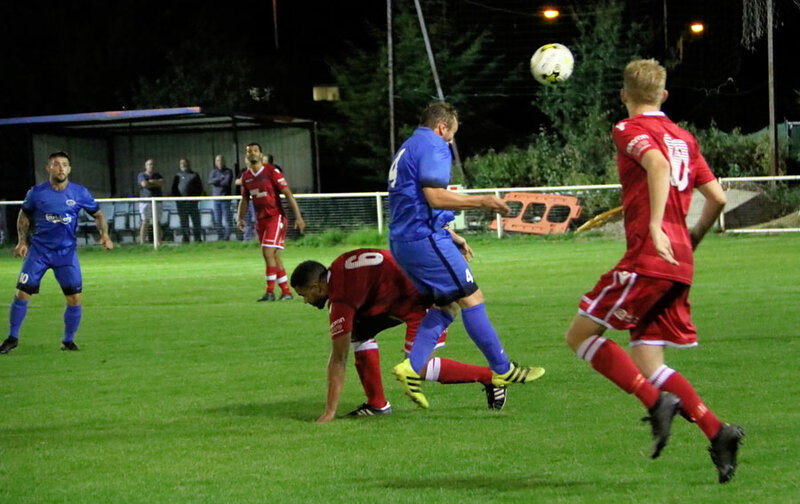 Jets did push and tried but tonight Town were defensively stronger. Jets lacked imagination, and the supply was too limited until they worked up more of a frenzy to retrieve the situation. 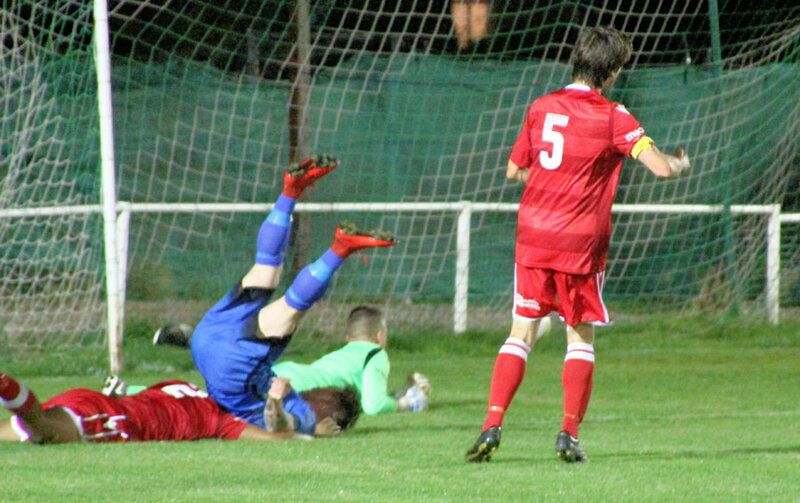 In football, you must hold your hands up when well beaten, and tonight too many were below par and lacked application and team effort, and Jets were distinctly second best. 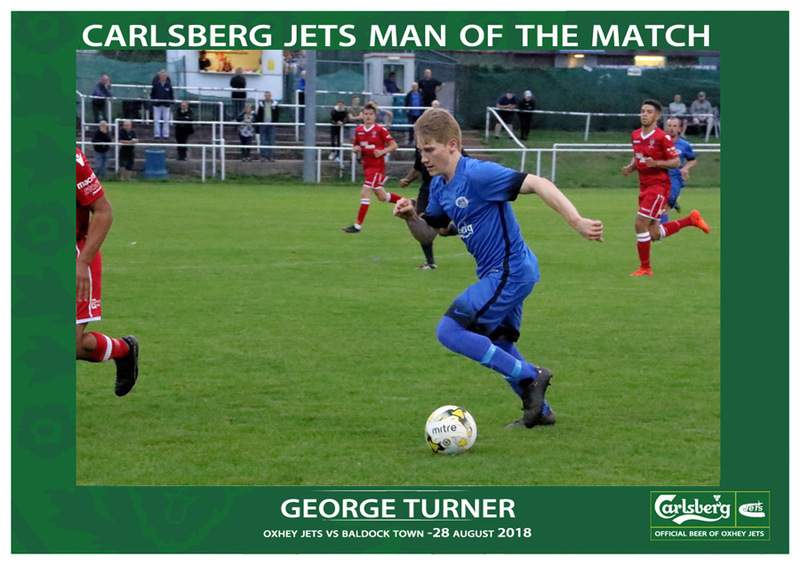 The Jets Carlsberg Man of the match award was nominated by the players and went deservedly to home debut boy George Turner. 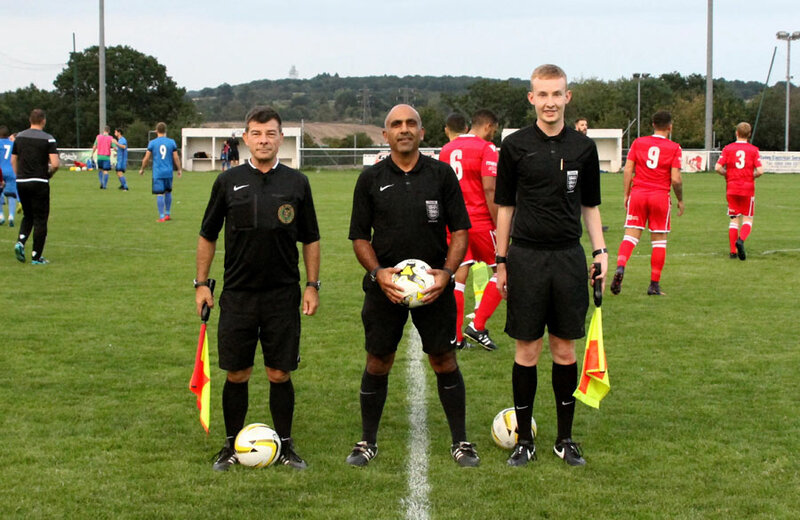 Officials had a good match.